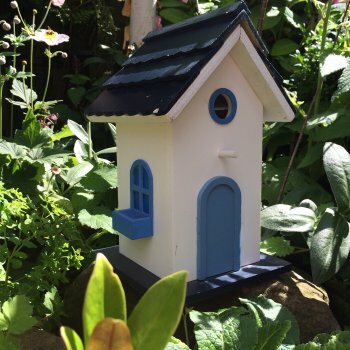 This beautiful shaker bird house from Ruddick Garden Gifts is available in white with a blue coloured roof. It has a hinged door to allow for cleaning and can be attached to a nail or hook by a fitting at the back. 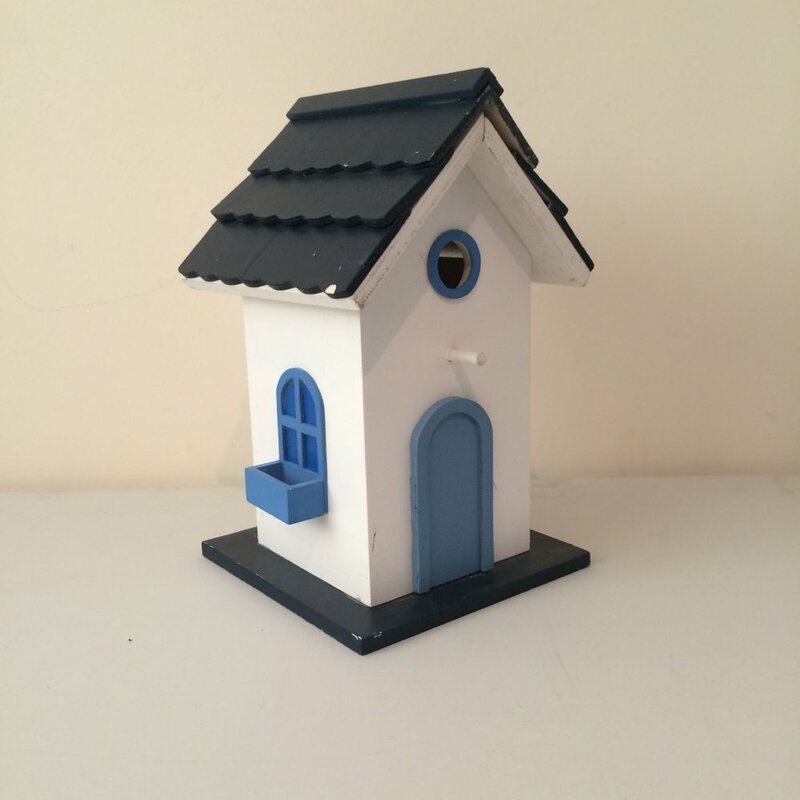 This shaker bird house is suitable for small garden birds and will bring a touch of class to your garden.